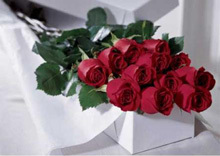 Order Valentine’s Day flowers early. Waiting until February 14th to order flowers may sink hearts. Although we try, florists can’t always accommodate last minute orders. Good hearted but last minute cupids may be out of luck. Sometimes florists run out of flowers and can’t accommodate unplanned delivery requests. Place your order early for Feb. 14 delivery. Roses and more! 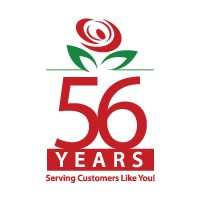 Although roses traditionally symbolize love and are a favorite for sweethearts on Valentine’s Day, be sure to select flowers that your sweetie enjoys. 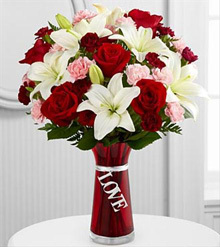 Other beautiful Valentine’s Day flowers include: tulips, lilies, gerbera daisies, orchids, callas, hydrangeas and carnations! Valentine flower colors. Red is the most popular valentine color but your sweetheart may march to her own drum. Be sure to select flowers in the color that she prefers. Other popular Valentine Day color options include: pastel shades like soft yellows, peaches and warm pinks, purples, oranges, hot pinks, creamy whites and ivory, rich yellow tones and even 2013’s color of the year, emerald green! Spring for an extra special add-on. Valentine’s flowers will pack even greater wow appeal with a little something extra. We’re thinking a cute plush teddy, a fun-loving balloon or some decadent chocolates to share. Have Valentine’s flowers delivered to work. 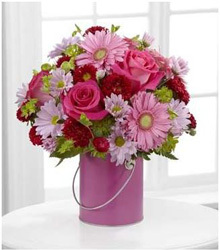 Surprise your sweetheart by having Valentine’s flowers delivered to the workplace. Lots of co-workers will comment on your thoughtfulness and you’ll get brownie points at home!